Capitol Towers Officially Declared Historic District! Sacramento Modern (“SacMod”) is pleased to announce that Capitol Towers — a thriving park neighborhood and urban oasis near Capitol Mall — has been determined eligible to be on the National Register of Historic Places. As a result, the district is also listed in the California Register of Historic Resources. 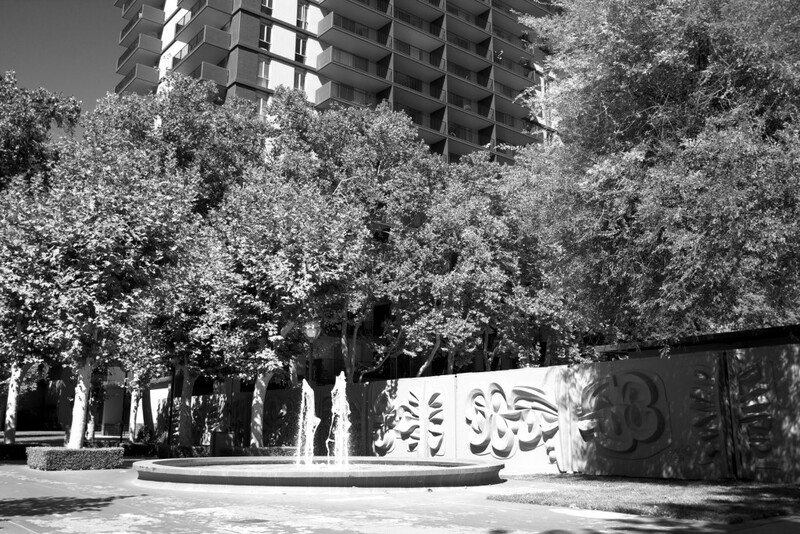 SacMod continues to seek protections at the local level by requesting that the City of Sacramento include Capitol Towers on the Sacramento Register of Historic and Cultural Resources. This pending decision temporarily prevents demolition permits from being granted for parcel numbers relating to the historic district until the matter is voted upon by the City of Sacramento Preservation Commission and City Council. Meanwhile, SacMod continues to provide ongoing commentary regarding the proposed development that threatens Capitol Towers (“Sacramento Commons”) during the City’s Environmental Impact Review. Capitol Towers’ eligibility as a historic district reinforces by law that the property’s historic status must be considered during proposed projects. We hope our City’s leadership and owner/investment group Kennedy Wilson take the time to consider the expert review and determination of the district’s historic status by the Keeper of the National Register and California State Historical Resources Commission. We urge continued dialogue — among residents, neighbors, Kennedy Wilson, city leaders, and local preservation and design communities — to ensure that a meaningful and thoughtful discussion about Capitol Towers ensues. Additionally, we urge Kennedy Wilson to study the benefits and incentives that official National Register designation provides. These tax credits and deductions include a 20% tax credit for the rehabilitation of historic income-producing properties in accordance with national standards. SacMod hopes to protect our city’s uniqueness while it grows. Preservation and progress can be achieved at the same time! Thanks to everyone who has been supportive and participated in the efforts to preserve Capitol Towers Historic District. Letters of support in favor of the historic district are appreciated and can be sent to info [at] SacMod [dot] org. UPDATE – January 23, 2015, via CapRadio.org: Sacramento Business Journal audio featuring Sacramento Business Journal Editor Jack Robinson talking about Capitol Towers being declared eligible for the National Register and what that means: from roughly 0:48 to 1:48 in the clip below. Preservation Commission Supports Capitol Towers Historic District!